Tangerines are one of the most delicious citrus fruits you can ever have, and today we’ll show you how to grow tangerines in pots so you can enjoy them all season long! Tangerines are fairly easy to grow granted the weather it warm enough, you provide it with good soil, and an adequate amount of sun. Tangerines can either be grown directly into the soil or in pots or containers – the choice is all yours! 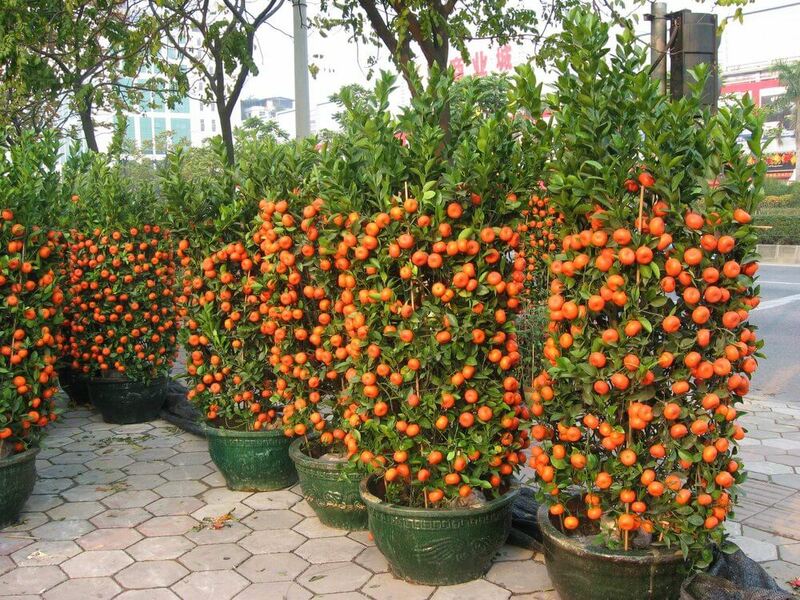 Purchase tangerine seeds from your local nursery or use seeds from a tangerine. If you decide to do the latter, make sure you wash the seeds thoroughly and then dry them. Use a good quality potting mix that contains either compost, peat moss, or perlite. Fill a pot or container with that soil and make sure the pot has good drainage. If planting directly into the ground, follow the same procedures! Give your soil a good amount of water before planting and let it dry in the sun until the soil is just moist. Plant 2-3 seeds in the middle of the pot and cover with 1/2 inch of soil. Cover the pot with a clear plastic bag or saran wrap to encourage fast germination of the seeds. This method will also keep the warm and give them adequate moisture. Place the pot in a warm location. Water as needed, making sure that soil is always moist, but not wet. As soon as seedlings emerge, remove the plastic cover. Move the pot to a spot with bright, indirect sunlight and a temperature of at least 70F. Once seedlings have a pair of true leaves, transplant them to large pots, about 4-6 inches in diameter. Water on a regular basis, making sure the soil is always moist. Fertilize monthly to feed your plant. We recommend a liquid, acid-based fertilizer. 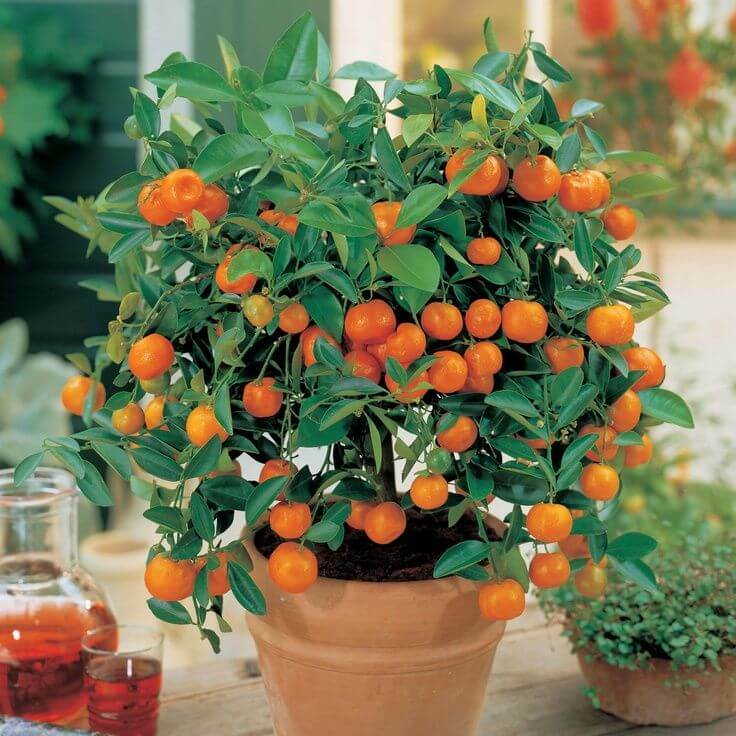 As your tangerine tree grows, you’ll need to transplant it again to a bigger pot. If you live in a warm climate, you can also transplant your tree outdoors in the spring. 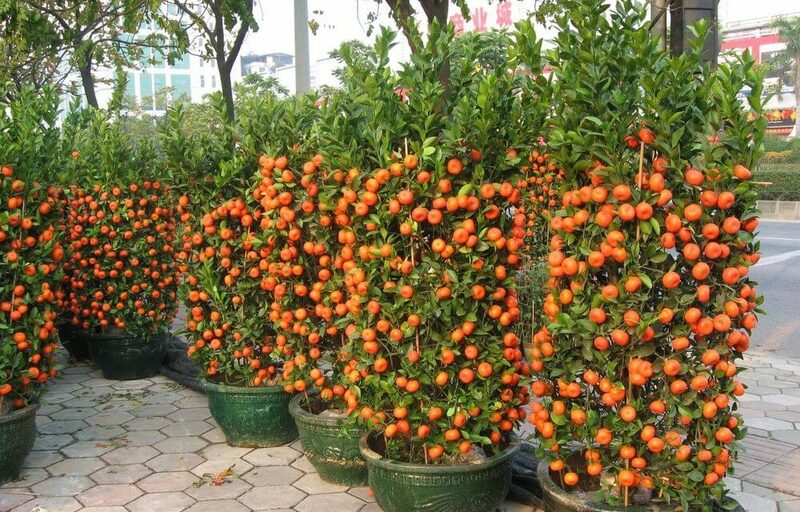 Once your tangerine tree has grown big enough, place some stakes around or even a tomato cage to encourage upwards growth and not outwards which will take up a long of space. How to Grow Tangerines in Pots was last modified: June 1st, 2017 by Aniela M.